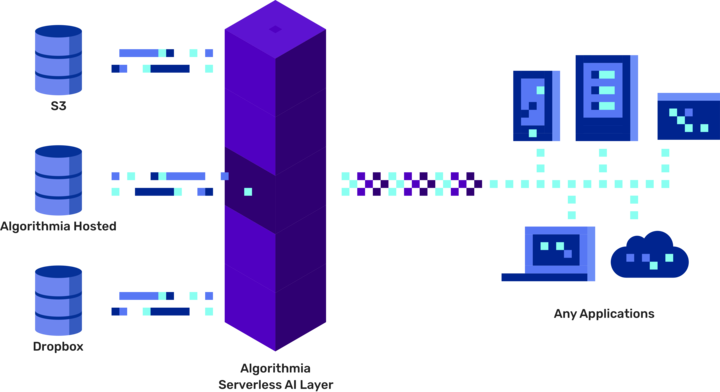 Algorithmia started out as an online marketplace for — can you guess it? — algorithms. Many of these algorithms that developers offered on the service focused on machine learning (think face detection, sentiment analysis, etc.). Today, with the boom in ML/AI, that’s obviously a big draw and Algorithmia is now taking its next step in this direction with the launch of a new service that helps data scientists manage and deploy their machine learning models — and share them with others inside their companies. With this new service, data scientists can create their models in the languages and with the frameworks of their choice and then host them in the Algorithmia cloud (the CODEX platform) or using the company’s on-prem architecture. To do this, the company offers two versions of its service: the Serverless AI Layer for hosting models in its cloud and the Enterprise AI Layer for hosting the service in any public or private cloud. Both the hosted and on-prem versions of the service offer enterprises the ability to use git to add models, share them with others inside of an organization, and to handle permissioning and authorization. The service also handles all of the DevOps necessary to host and deploy models. In recent months, the company started signing up enterprise customers to beta test this service, including a number of government agencies who want to use its service for hosting their models. Earlier this year, Algorithmia announced a $10.5 million Series A funding round that was led by Google’s new AI venture fund.